Located in Poyatos (Cuenca) this canyon is 200m deep and 2,5km long. One of the best things of this aquatic canyon is its location, which offers us, in its halfway, a wonderful whole landscape, The canyon offers us: escarpments, jumps, swimming zones, etc. 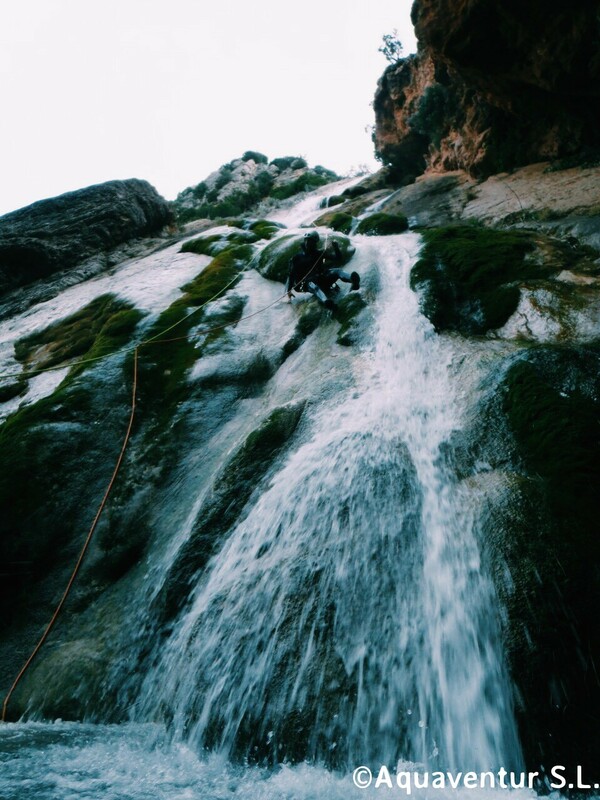 The longest abseiling way in this canyon is 22 meters long. This canyon offers 8 abseiling ways all along its route. Suitable season to visit this canyon: Spring and Summer. Contact us if you want to visit it in Autumn. This canyon located in Carrascosa (Cuenca) has a 374 meter deep gap. 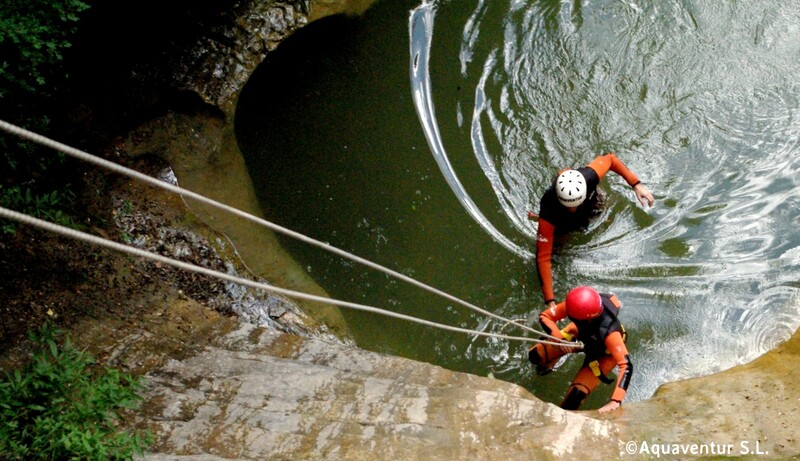 Its longest abseiling way is 16 meter long. This canyon offers a 5 hours long activity. 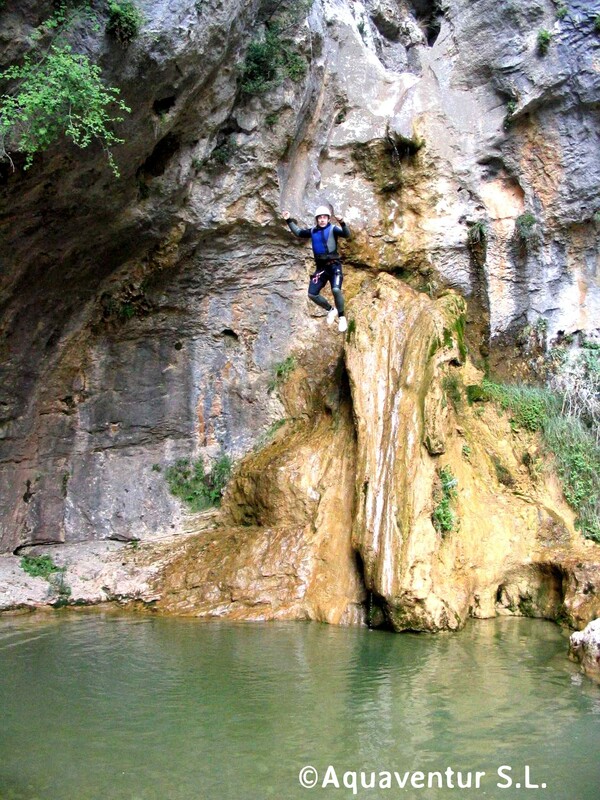 Canyoning can be practice in this canyon in Spring and Summer. Also called, Rambla de Amanaderos in Riodeva (Teruel) Sierra de Javalambre. This canyon has a 260 meters deep gap and is 2,5 km long. Its longest abseiling way is 48m long. This canyon is composed by sandstone, limestone and tufa. The form of the canyon makes the river level stable all along the year. The canyon can be frozen in Winter. Recommended season: Spring, Summer and Autumn.